Themes are always a great idea for your direct sales business. 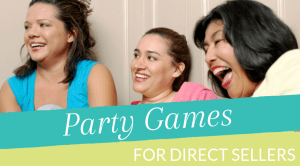 The more ‘themed’ you can make your parties, the better. With different themes you give people another reason to re-book with you. As each party and product demonstration is so different, guests and hosts won’t get bored. They’ll want to try out the different themes and have a ‘new’ party every time. Some product offerings are really easy to structure into themes. With others you have to work a little harder to make them into a theme party. However, some themes are universal. For my “Chocoholics” theme party I encourage the host to offer chocolate snacks. I always bring more chocolates to the party because I use chocolates as prizes and as booking incentives . And most importantly, I play the Chocolate Game throughout the party. 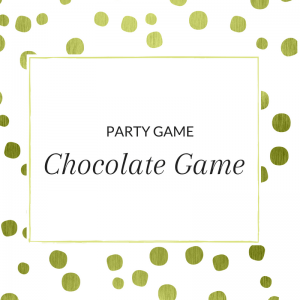 The chocolate game is fun and easy and gets all the guests engaged and involved throughout the entire presentation because they’re never quite sure when I’m going to give them another chance to win a chocolate prize. I keep a list of chocolate clues handy and I read out 2 or 3 clues at a time throughout the party. When someone yells out the correct chocolate to match a clue, I throw them a chocolate prize. 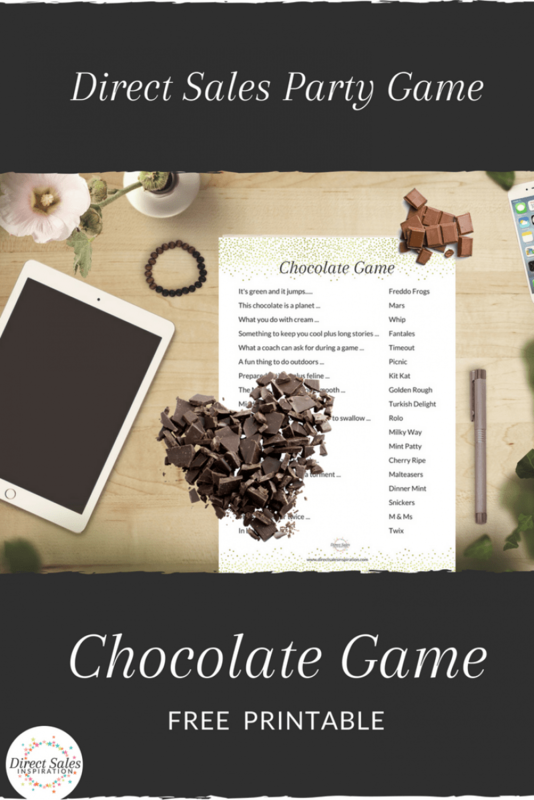 All you need to play is a bag of mixed, wrapped chocolates and the list of clues (download below). And, of course, a bunch of chocoholics as guests! Grab the Chocolate Game Clue Sheet and get my weekly email with tips - never miss a blog post again!